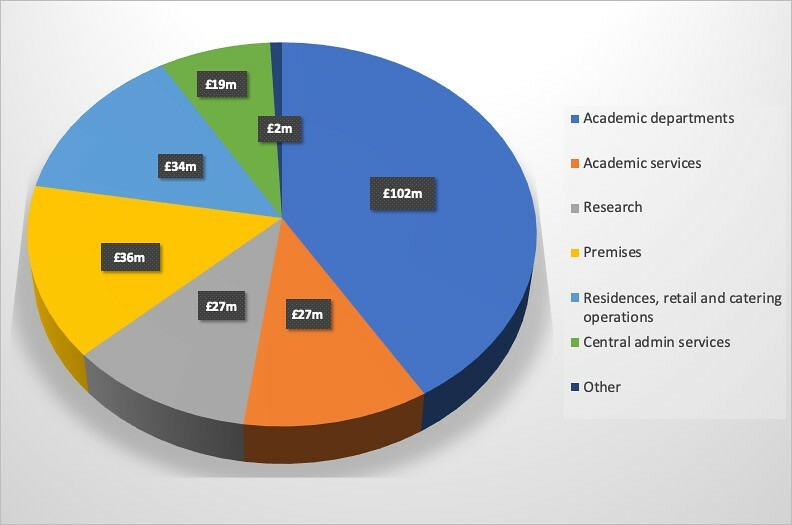 The University's income, expenditure and profit for the 2017/18 academic year. 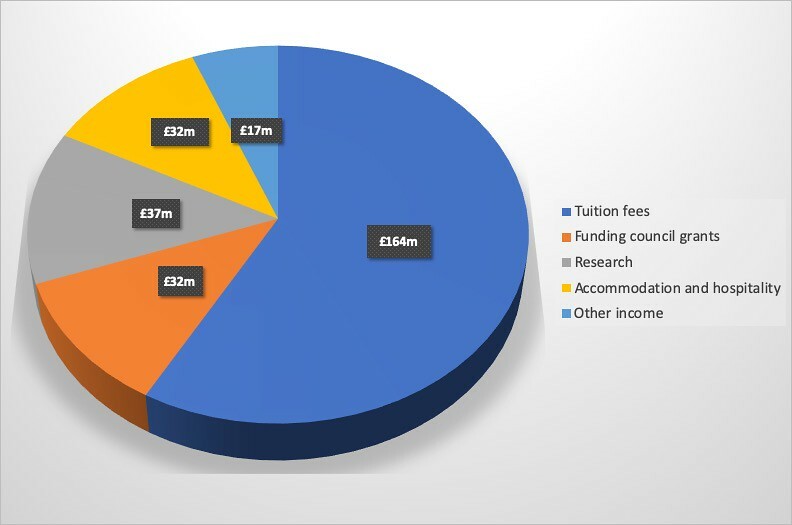 The income from tuition fees is our largest source of income, but it only makes up around half of the total income of the University. The rest comes from grants from the Funding Councils, research grants and other income which includes things like accommodation and catering income. We use our income to pay for the highest quality academic staff and provide facilities for research that has impact across the world. Our expenditure also includes financing all the academic and student services that students use, such as the Library, IT facilities, student services, teaching support, sports and arts facilities, bursaries and placements as well as the buildings that all these services are housed in. In the 2017/18 academic year, the University made a surplus of £6.8m. It's important to remember that the University is a charity; it has no shareholders or owners that it has to pay money to. All the surplus, or profit, is reinvested to further improve the University. The University needs to make a surplus so that it can pay for new buildings and for the refurbishment of the older buildings as well as to continue to invest in academic staff and facilities.